President Vladimir Putin hailed Moscow's mayoral elections as fair and transparent at Sergei Sobyanin's inauguration ceremony Thursday evening, attributing any "opposition votes" to frustration with bureaucrats abusing power. "I'm sure that nobody would've voted against Sobyanin. Why would they vote against him? He's done nothing but good, especially over such a short period of time in power. But there were opposition votes. Why? Because of bureaucratic tyranny," Putin said, Interfax reported. The comments came just hours after opposition candidate Alexei Navalny delivered dozens of boxes of election-related complaints to Moscow city courts in a bid to stop Sobyanin's inauguration and annul the voting results — something the Moscow city elections commission refused to do for a separate petition filed by Navalny earlier. The commission said Thursday it had rejected Navalny's first request to annul the voting results because the move would violate the rights of voters. "The measures that Navalny is asking for are not measures aimed at ensuring his declared demands and essentially boil down to the court making a decision to limit the executive powers of a consituent entity of the Russian Federation," Judge Alexandra Lopatkina said, RIA Novosti reported. Navalny won 27 percent of the vote in Sunday's election against incumbent Sobyanin's 51 percent. If Sobyanin had gotten less than 50 percent, he would have had to compete in a second round against Navalny. Navalny presenting boxes of complaints to a Moscow court on Thursday. Sobyanin conceded at his inauguration ceremony, held in a World War II museum in Moscow's Poklonnaya Gora memorial park, that the campaign was "not a simple one, but we didn't ease up in our work on supporting all of the city's work and on development programs for the city," Interfax reported. "Not all Muscovites are satisfied with the work of city authorities, so we have something to work on; we need to strengthen our solutions, work more effectively and dynamically," he said. Sobyanin, whose inauguration was initially scheduled for Sept. 18, did not run as strongly as pollsters and administration officials expected. 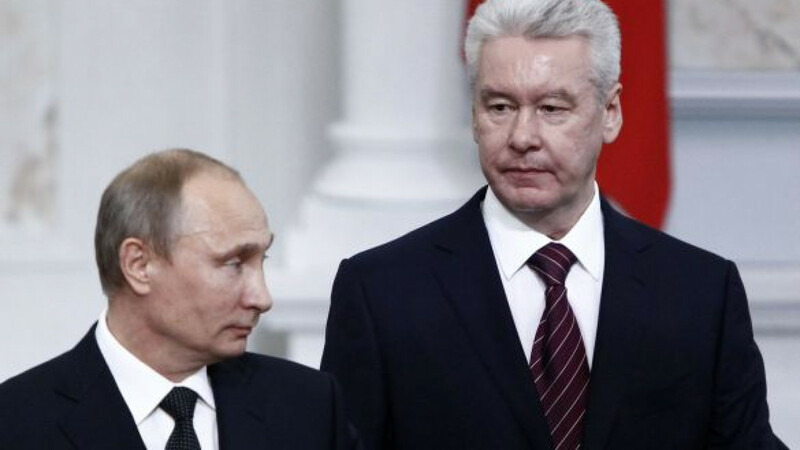 In what some may see as an explanation for this fact, Putin said at the inauguration ceremony that Sobyanin "perhaps wasn't made for big political campaigns. He's not a Robespierre. He doesn't like speaking and isn't able, even, to speak publicly and from the podium, but he is actually a very sincere, good, honest and talented person. 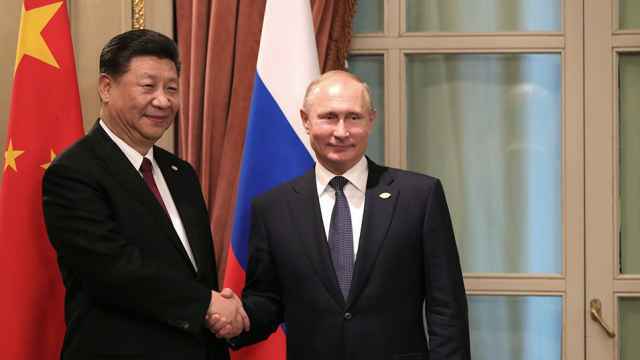 I wish him great success," Interfax reported. Ahead of the inauguration ceremony, Navalny delivered nearly 80,000 pages of documents allegedly detailing voting violations at the polls and throughout the election campaign. The two biggest areas of concern, he said, were the unusually high number of votes from home and the distribution of groceries to many pensioners in an alleged bid to sway their vote. It took four days without sleep to prepare the evidence, he wrote on his LiveJournal blog, thanking "the heroic group of volunteer lawyers" who helped him. All in all, he said he and his volunteers planned to bring 951 complaints to 36 different district courts, Interfax reported. The court will decide within several days whether to accept the case. The independent election monitor Golos has backed up Navalny's calls for a re-count, saying while there was no major vote-rigging, there was still a chance that voting from home could have made the race less legitimate and given Sobyanin an unfair advantage. Navalny has called on his supporters to use legal means to protest the election result. At a rally calling for a vote re-count on Monday evening, he spoke of a "new opposition" being born even despite Sobyanin's win. Presidential spokesman Dmitry Peskov seemed to disagree, however, telling Slon in an interview published Thursday that Navalny's share of the votes "doesn't show him being a serious politician." "Politics is a very tricky thing. His fleeting result doesn't attest to any serious political support" Peskov said.